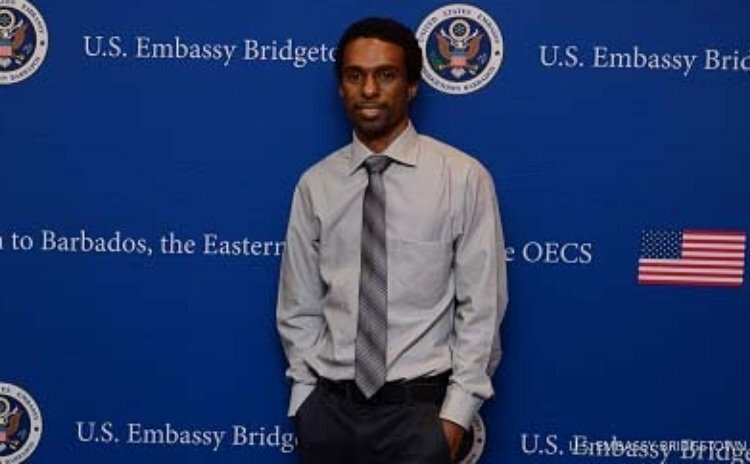 Jason Timothy will travel to the United States as the latest Eastern Caribbean candidate of the U.S. Department of State's International Visitor Leadership Programme (IVLP). Timothy is a mechanical engineer at the Dominica Electricity Services Limited. He will take part in a one-week professional exchange program on renewable energy with 11 other candidates from the region. In June 2014, United States Vice President Joe Biden unveiled the Caribbean Energy Security Initiative (CESI) to help the Caribbean improve its energy security. The United States Government's commitment to energy security in the Caribbean was reinforced by the Vice President's Caribbean Energy Security Summit (CESS) held in Washington, D.C. on January 26, 2015. It was also discussed by President Barack Obama during his meeting with CARICOM heads of government in Kingston, Jamaica on April 29, 2015. This program on renewable energy, energy regulation, and energy security is a deliverable from CESI, CESS, and the President's meeting with CARICOM leaders. This project is designed for government policy makers and officials who manage and/or regulate energy producers and distributors; officials charged with increasing the adoption of renewable energy by consumers and retailers; academics who specialize in these areas; and representatives of non-governmental organizations that advocate for clean energy and alternative fuel solutions. This program will help participants gain an understanding of best practices in the United States in energy regulation, energy investments, and emerging renewable energy technologies that can be adopted in their respective countries. The program will begin on July 19 in Washington, D.C., and it will include travel to Burlington, Vermont. The program concludes on July 25. The IVLP is the Department of State's premier, professional exchange program. The program brings together emerging leaders in their respective professions to learn how U.S. experts in that profession operate and to share best practices with the other program candidates who hail from the same region and across the globe.